We all know the sappy, synchronized, generic music that plays in elevators; in fact, you don’t even have to be in an elevator to hear it. Sometimes, it will be playing in banks, offices, cruise ships, airports, stores, and other places where gentle, relaxing music is called for. You’ll even hear it when on hold with the cable company. It’s got a name and it’s called Muzak. It first made its appearance back in 1922 in an effort to relax passengers who had a fear of elevators. It was designed to get people comfortable using them, and apparently it has worked, because Muzak is still around today! Not every elevator plays Muzak: some building owners prefer to pipe in their own music or even radio station broadcasts (this brings up a multitude of licensing snafus, however). But there’s no denying the popularity of Muzak, which is heard by more than 100 million people every day, says ElevatorHistory.net. In addition, Muzak has produced more than three million songs and offers its music to more than 350,000 clients around the world. Elevator music should have a low intrusion level, such as a light instrumental, with no jarring sounds or verses as you would find in rock music, which is considered to have a high intrusion level. It should be catered to the type of place in which the elevator resides. For example, at a tropical resort, there’s more freedom to incorporate more festive sounds, such as salsa music or Bob Marley music. This gets visitors in the mood to enjoy your hotel, resort or themed restaurant, resulting in a boost in their mood. Keep your music free from commercials or talk. This distracts from the relaxing vibe that is trying to be achieved. Remember, the original purpose of elevator music still carries on to this day: you’re trying to relax your passengers, not make them agitated. Go with soft and soothing instrumental music if you are unsure of the clientele, purpose or perception of music played on your elevators. Jazz and easy listening tunes are also acceptable. The goal is to use music that people recognize but that don’t violate copyright rules. Keep the volume low; loud music, even relaxing music, is off-putting and interrupts conversations by passengers. During holiday times, keep the musical selection generic and avoid specific religious themes so as not to offend any passengers. Don’t get too heavy. Hard rock, heavy metal or even pop music can be just too much for some passengers. You have to think on a broad spectrum: what would be calming to kids, adults and the elderly? Go with classical over contemporary; although, again, this could depend on what type of business you have. New Age would be a good choice for a massage therapy salon, spa or mystical retail store. 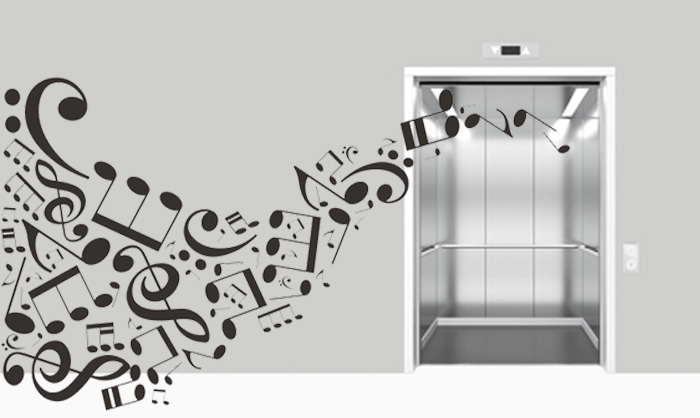 We hope you learned a thing or two about elevator music. Learn more about what we do by calling Mowrey Elevator today!